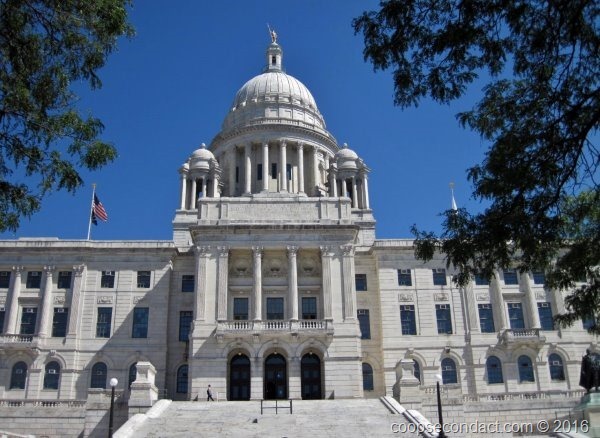 Providence is the state capital of Rhode Island. We toured the capitol building which was completed in 1904. There were several locations that served as the capitol before this building was completed. It is a very beautiful building with lots of Georgian granite on the inside. Unfortunately, they had just begun work on the interior of the dome so we could not get a good look at the rotunda. Here’s a couple of interesting things about Rhode Island history. This colony sought and obtained a charter from England in 1663 which granted several significant rights and freedoms including the right to elect their own governor. This was unusual since, at that time colonial governors were appointed by the King or his representatives. The other interesting event involved the British ship named the Gaspee which was sent by King Charles III to Rhode Island to enforce maritime trade laws and to prevent smuggling. In June 1772, when the colonists grew tired of the harassment by the crew of the Gaspee, one of their ships was able to lure the Gaspee into shallow water when it ran aground. That evening, in a nearby tavern, word got around about the plight of the Gaspee and a group of men determined that this was their opportunity to send a message to the British. They rowed out to the ship, wounded the captain, removed the crew and set the ship on fire. After a nine month investigation, the British were unable to establish who was responsible. So 18 months before the Boston Tea Party, Rhode Island struck a blow against their British overlords. While in Providence we took a walk in the Federal Hill section of the city which is the “little Italy” of Providence. 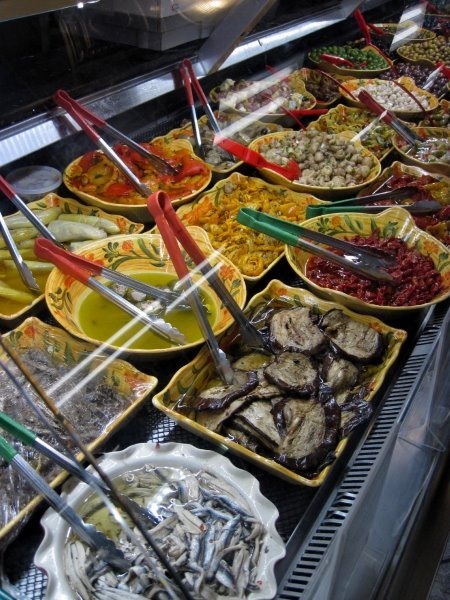 There we encountered “Constantino’s Venda Ravoli”, a beautiful Italian deli with a terrific selection of ready to eat items. We had the opportunity to try a dish that was new to both of us, “snail salad”, which is made with thinly sliced conch. Absolutely fabulous. This reminded us of when we went snorkeling in Belize, gathered live conch and our guide removed it from the shell and prepared ceviche right on the boat. Newport, RI, is a seaside town on Aquidneck Island. It has a strong connection to sailing having hosted the America’s Cup races for many years. During the Gilded Age of the mid-nineteenth century, many of the wealthy began seeking respite from the summer heat by spending those months in Newport. These were people who had made fortunes in shipping, mining, construction and finance. These families, such as the Astors and Vanderbilts began to one up each other with their summer cottages. This resulted in a collection of very impressive mansions in Newport. 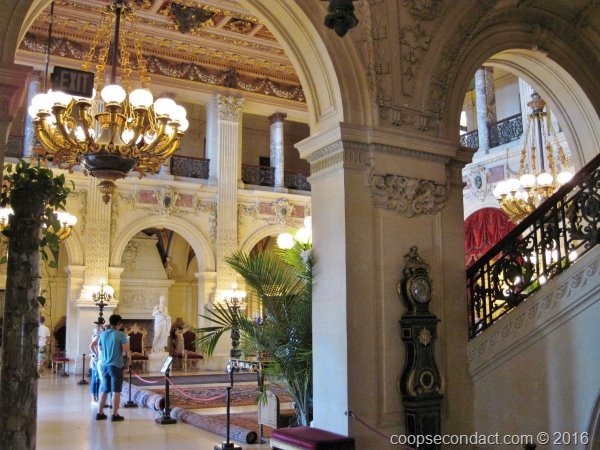 We toured one of the most notable, “The Breakers” built by Cornelius Vanderbilt II in 1895. Surprisingly, it was built, complete with furnishings, rugs and tapestries in only two years.